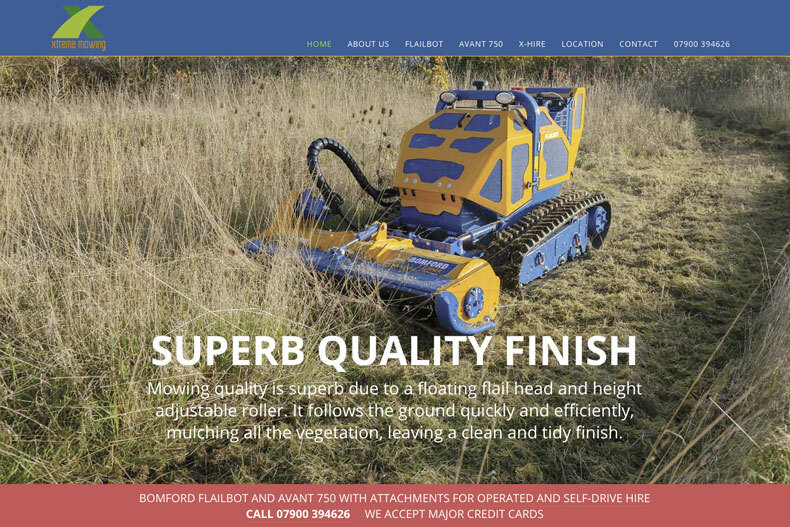 The Xtreme Mowing website is based on a full-width WordPress theme featuring parallax sections which can either work as a single- or multi-page website. 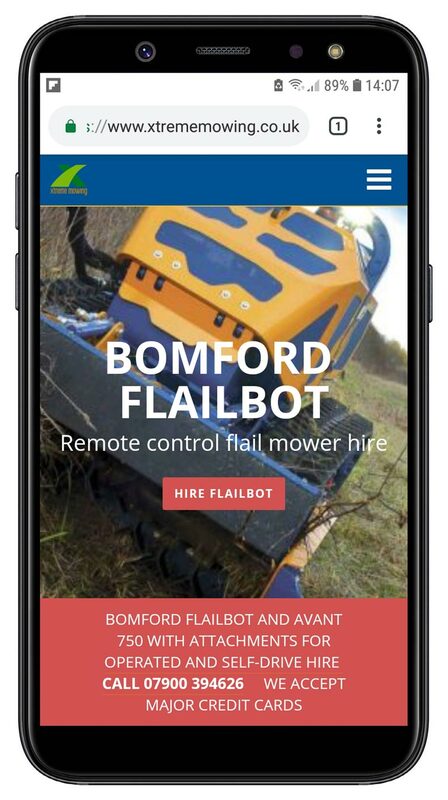 In this case we’ve used it as an extended one-page theme, with a comprehensive ‘home’ page along with product and machinery hire pages. 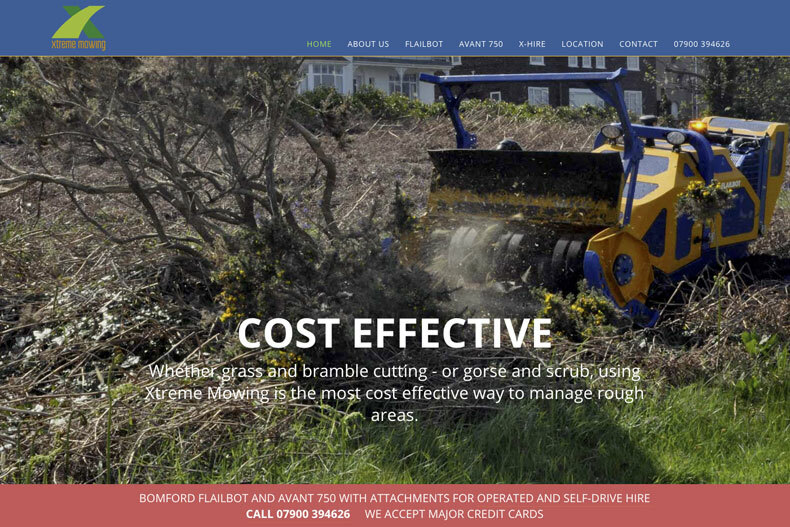 The site is easily expandable with the addition of more sections and additional pages. 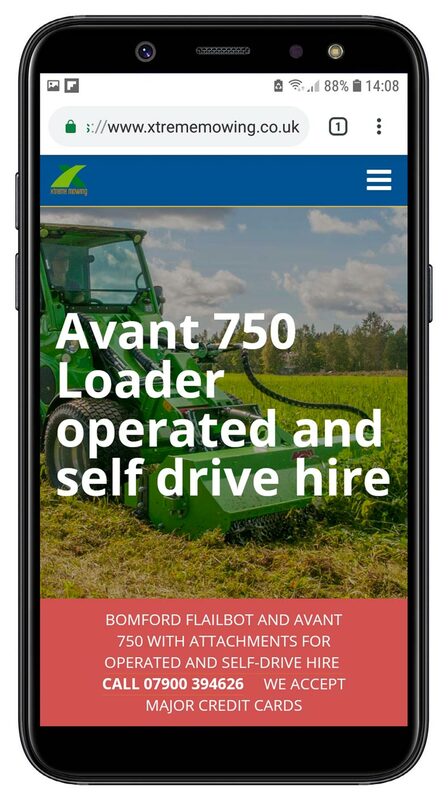 The site is, of course, fully responsive, works brilliantly on mobiles and tablets and optimised in line with the latest SEO practices. 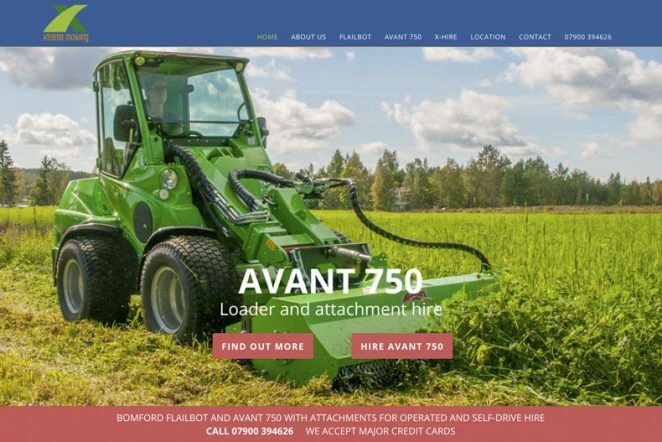 Xtreme Mowing, from their Gloucestershire base, provides a mowing and clearing service using the remote-controlled Bomford Flailbot and the Avant 750 Loader with attachments. 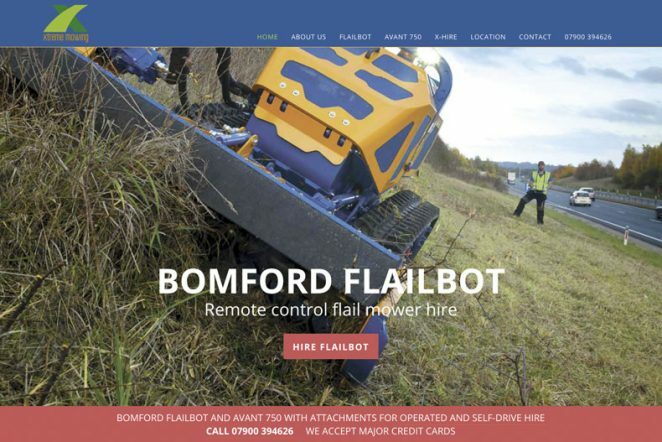 The website showcases the company’s machinery, what it can achieve, along with rates for operated and self-drive hire.